1883 – Birth of Frederick Erastus Humphreys, American aviator; he becomes one of the original three military pilots trained by the Wright brothers and the first to fly solo. 1914 – The Canadian Aviation Corps is authorized to be formed; it is the beginning of Canada’s military air force and is composed of two officers and one mechanic. 1932 – Cyril Frank Uwins set a new world altitude record, reaching a height of 43,976 feet, flying a modified Vickers Vespa VII fitted with a supercharged Bristol Pegasus engine. 1951 – A damaged McDonnell F2H-2 Banshee jet, returning to the U.S.S. Essex, an aircraft carrier on its first Korean War cruise, misses the recovery net and crashes into several planes parked on the ship’s deck, killing seven people and destroying four aircraft. This crash leads the U.S. Navy to equip all future carriers with angled flight decks for safer airplane recovery. 1958 – First flight of the North American Sabreliner, a mid-size business jet. 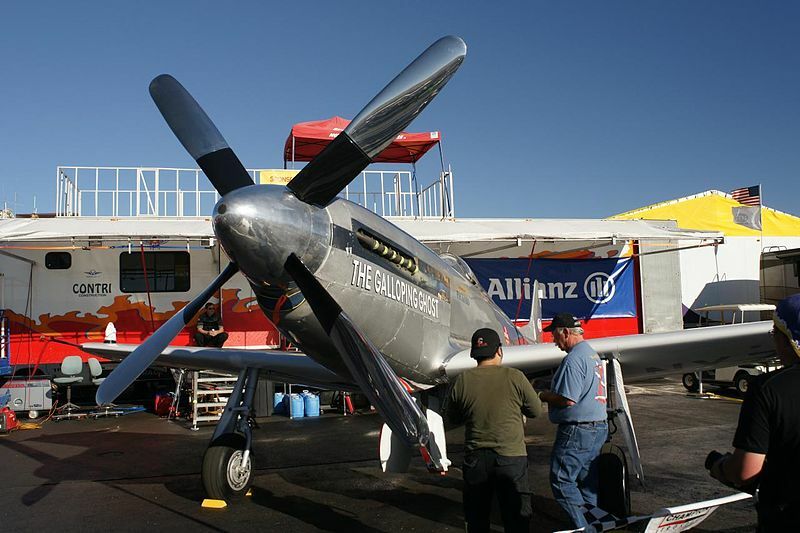 2011 – At the Reno Air Races, a North American P-51D Mustang called “The Galloping Ghost” (shown above) piloted by James Kent “Jimmy” Leeward (air racer, actor and stunt pilot), crashes into spectators, killing nine people including the pilot, and injuring at least 69.